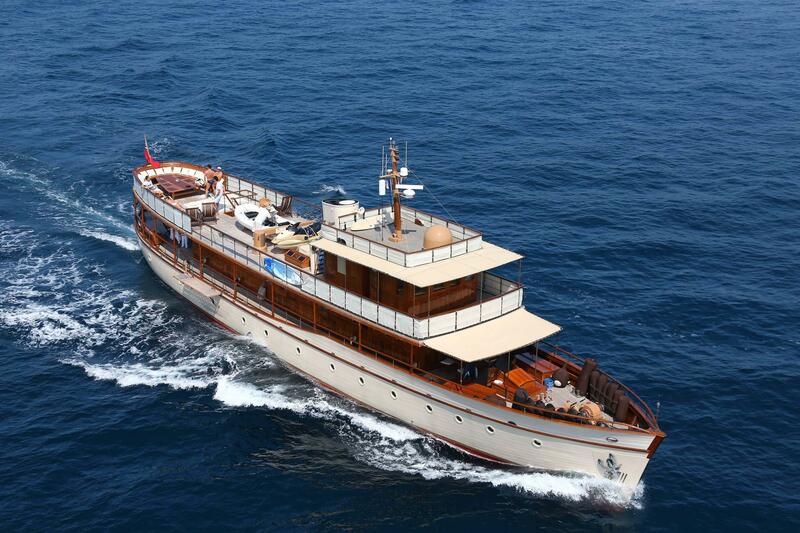 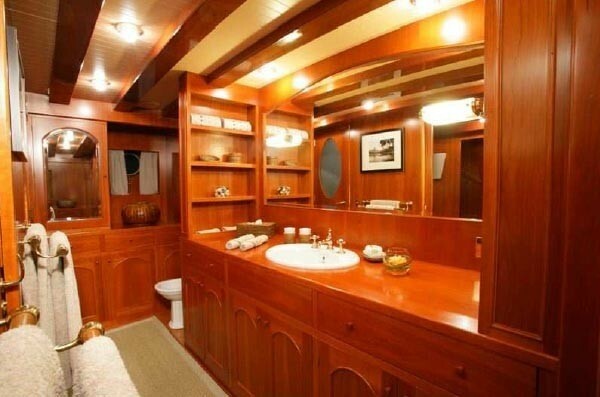 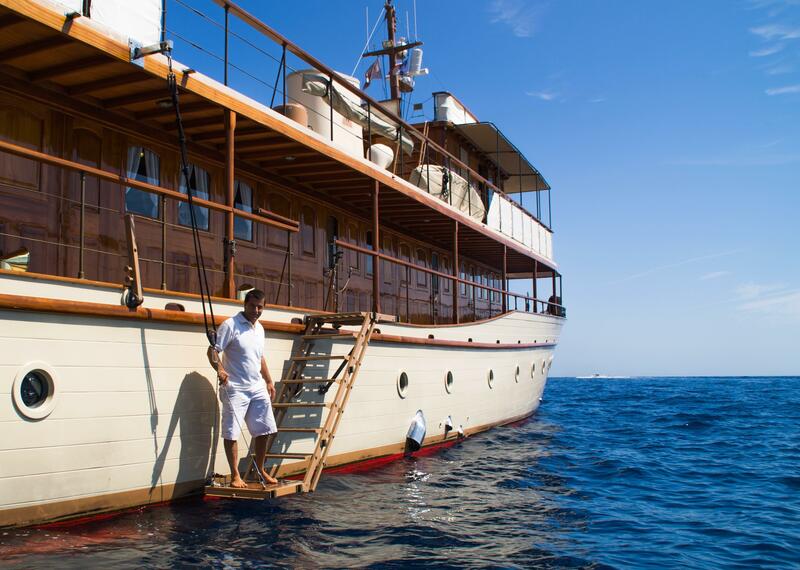 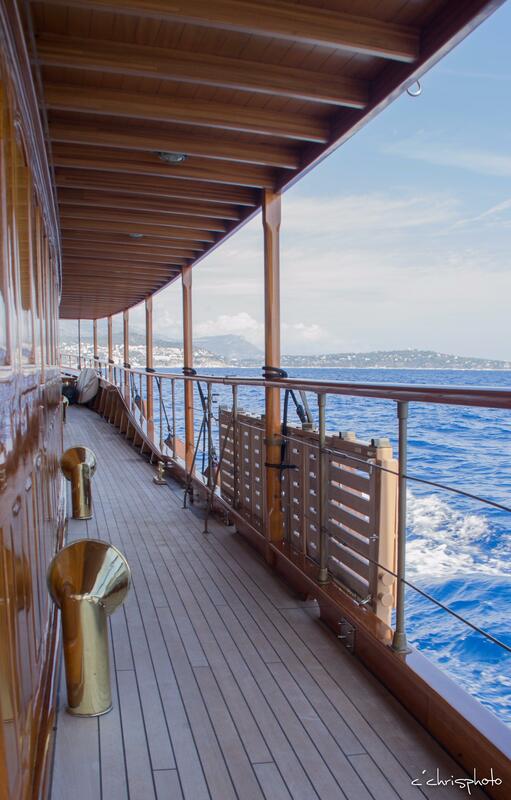 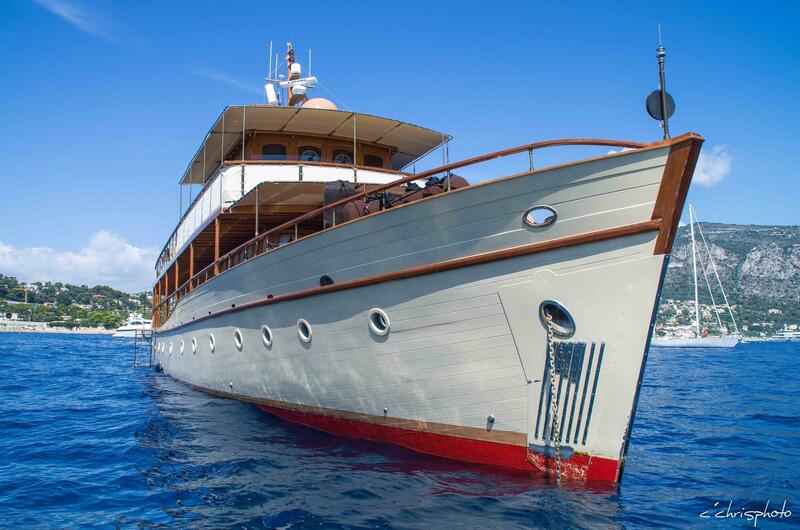 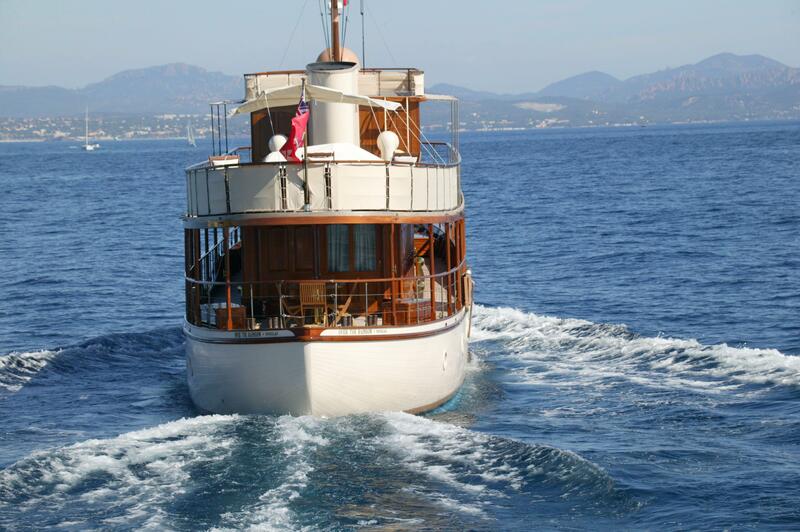 Classic motor yacht OVER THE RAINBOW defines tradition and grace of another era, with today’s amenities. 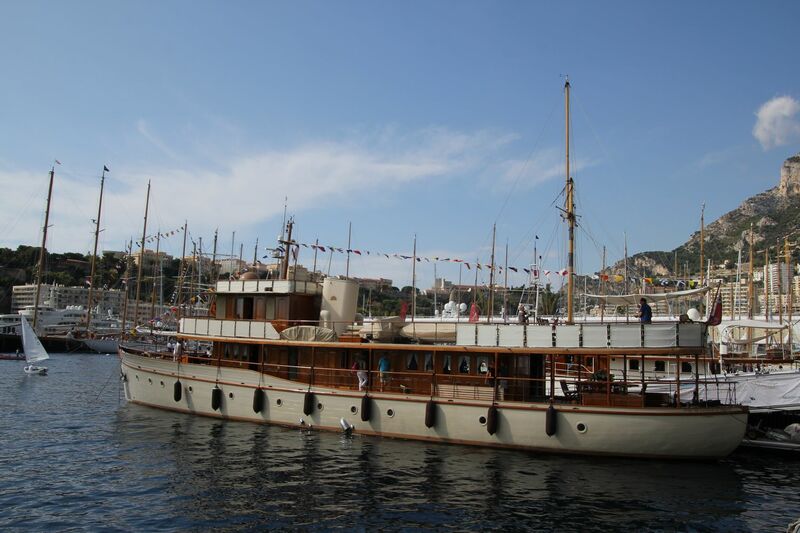 She was built by Welsh shipyard Dickie & Sons in 1930, and underwent a complete refit in 2002 – 2004 which was meticulously undertaken by Mondomarine. 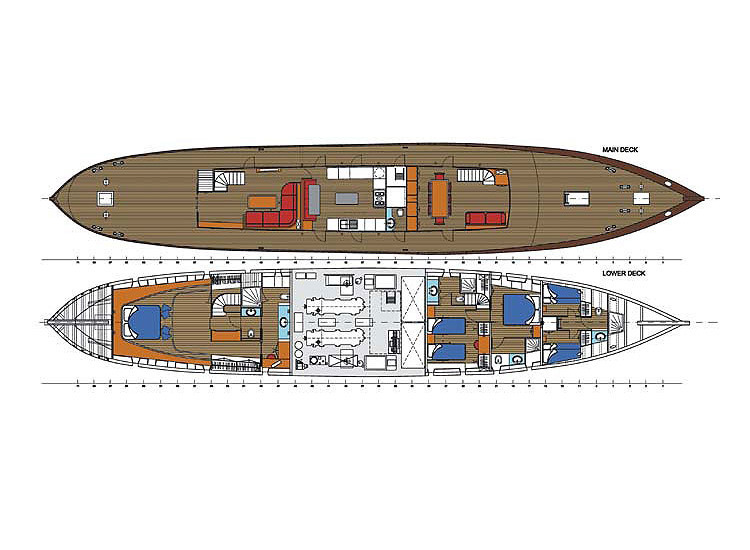 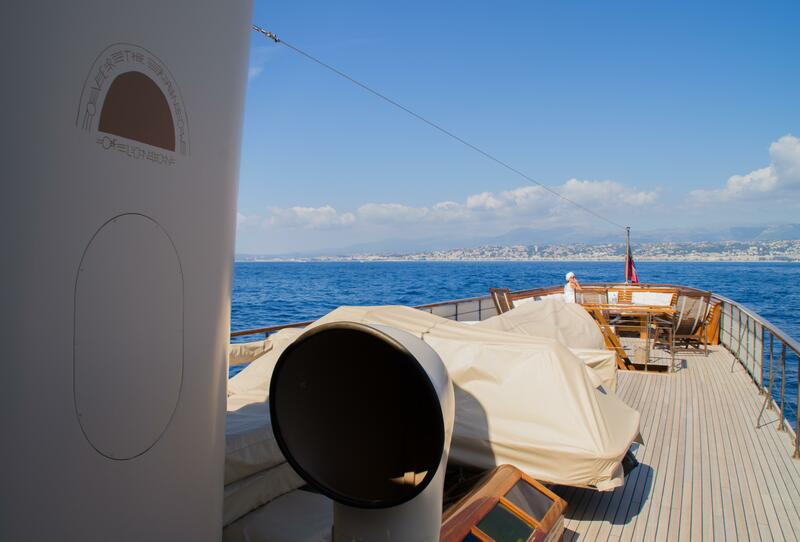 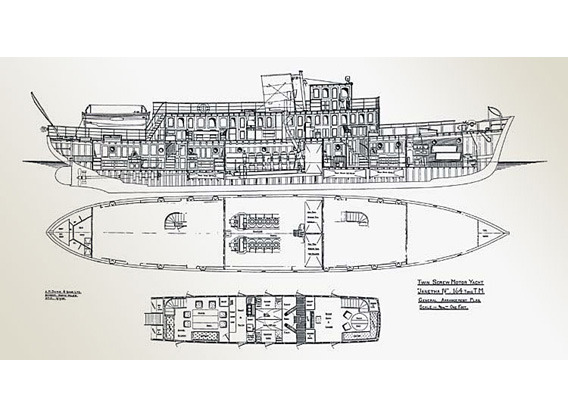 She measures 35m (115ft) and can accommodate up to 10 guests in 4 deluxe en-suite cabins. 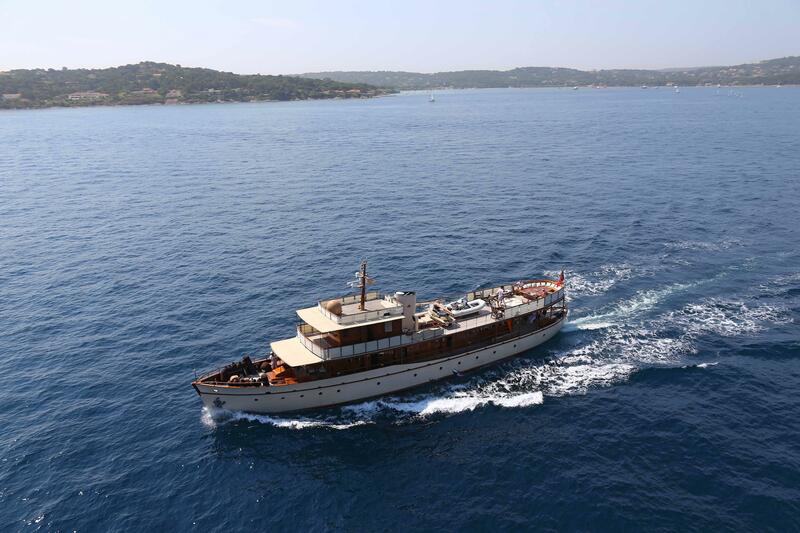 Guests will be intrigued by OVER THE RAINBOW’s interesting history, starting life a private cruising vessel in Scottish waters, to be thrust into the Second World War, followed by a short period in the US and eventually a floating casino for many years in Greece. 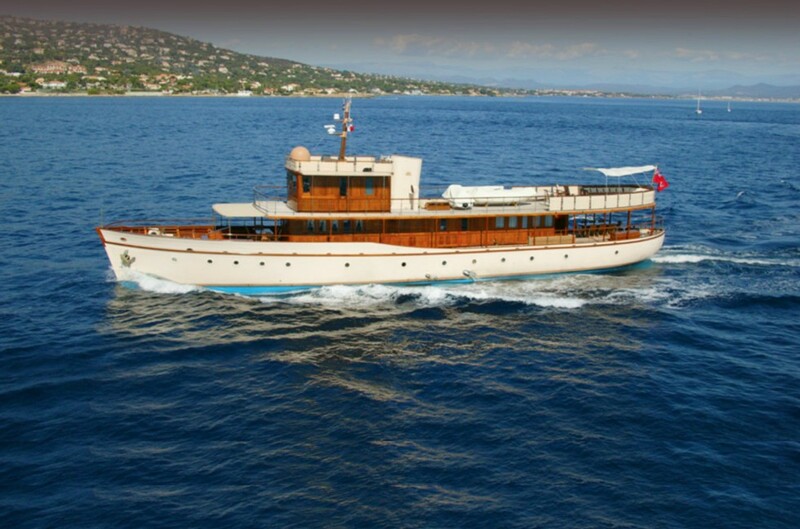 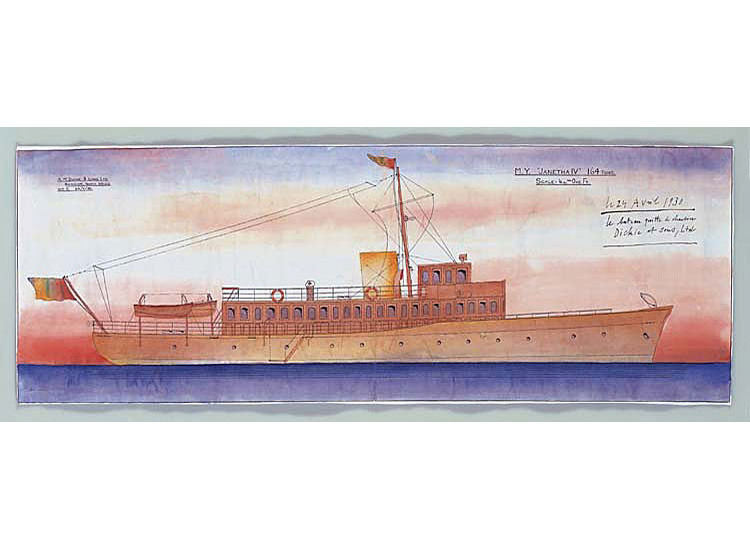 She was bought by an Englishman in the late 80’s and commissioned for charter, after a successful time, she was sold, here she waited patiently until her new owner, well renowned Belgian artist Jean Michel Folon, fell in love with her and gave her a second chance. 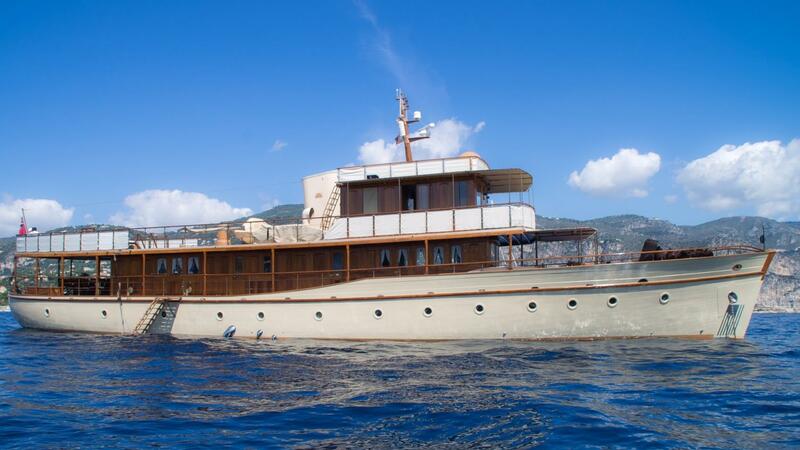 Today this motor yacht is in pristine condition run by a professional crew of 5. 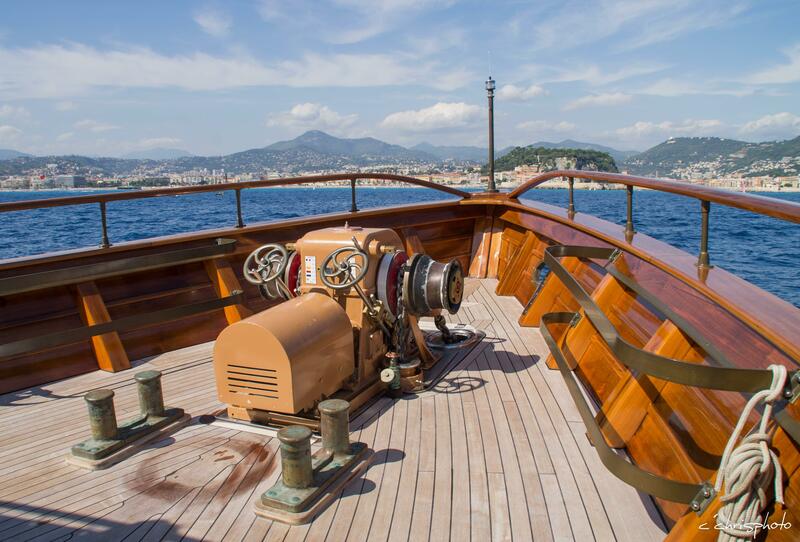 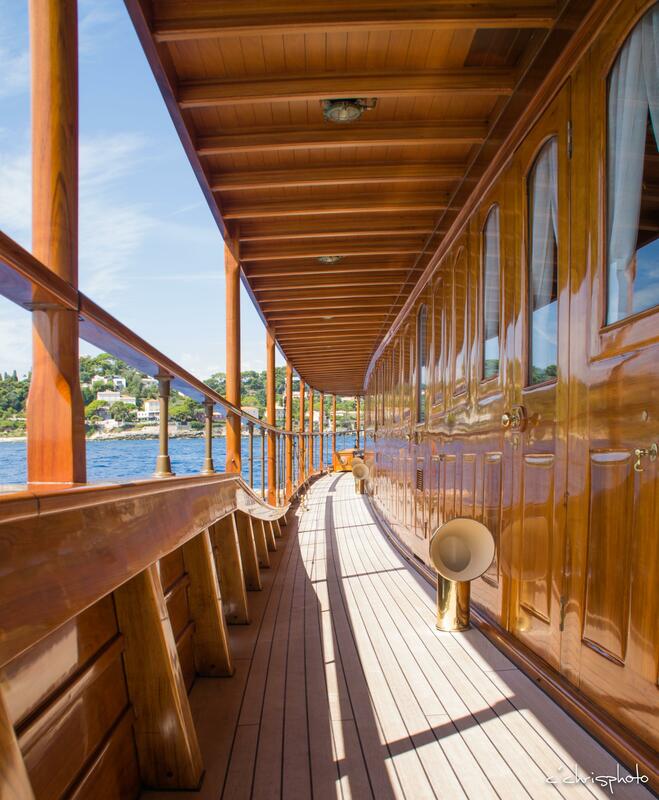 Classic yacht OVER THE RAINBOW has a warm elegant interior of light cherry woods, fine art and a fittingly nautical theme, the newly designed interior was undertaken by the Geneva based SYDAC. 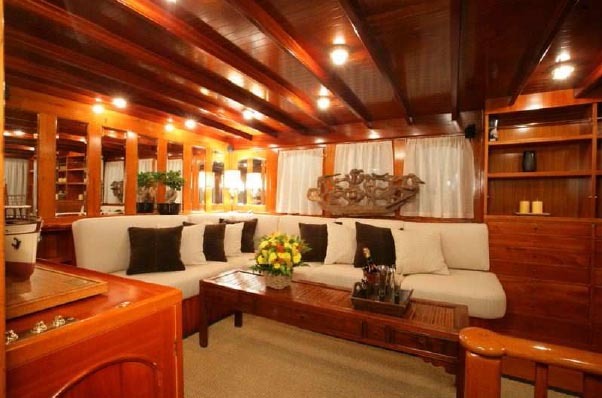 The main salon is aft on the main deck featuring a plush L shaped sofa, coffee table and library. 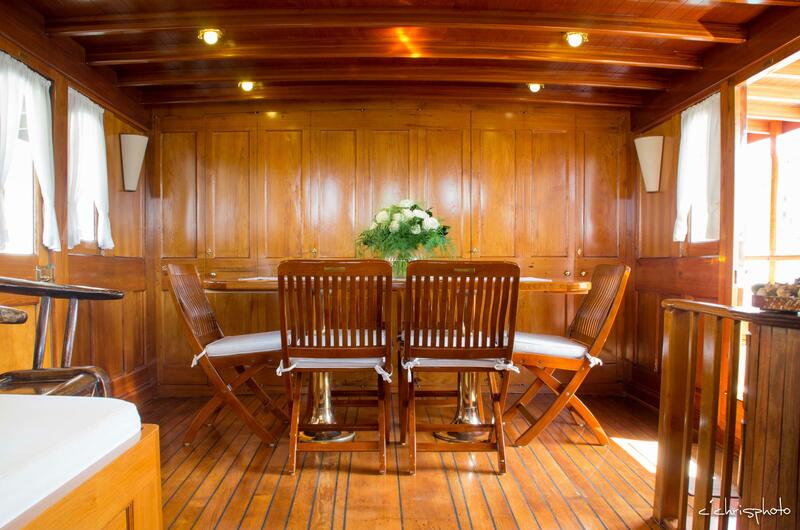 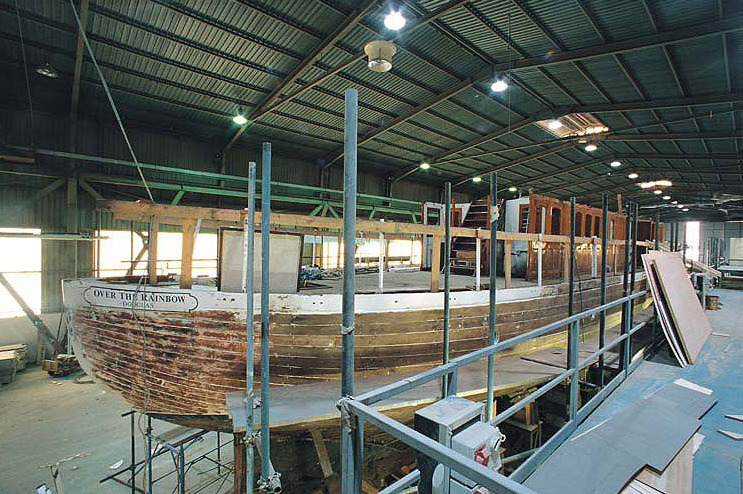 Forward of the salon, a large galley includes a country style table with a casual dining space. 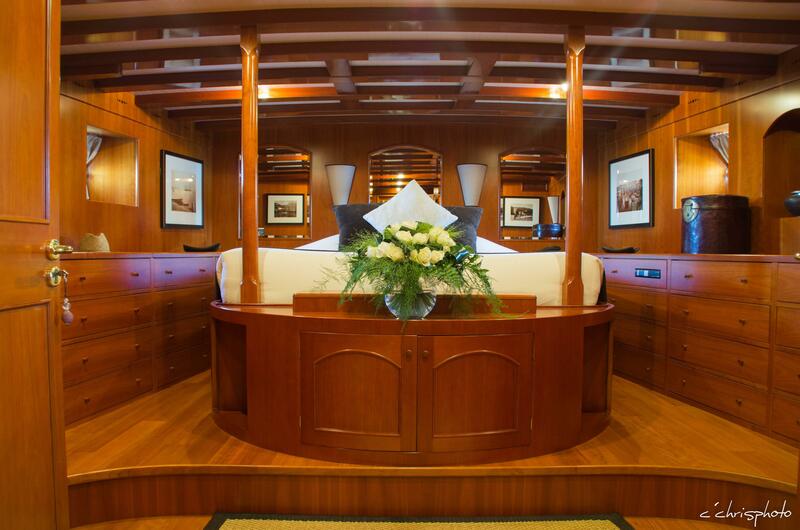 Further forward the formal dining area seats all guests in true elegance. 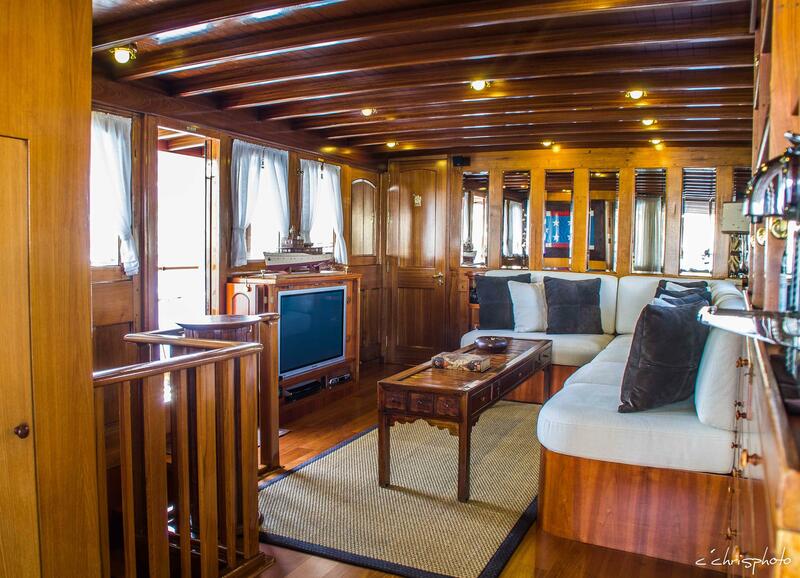 The salon through to the formal dining space is on the main deck and surrounded by large windows and idyllic views. 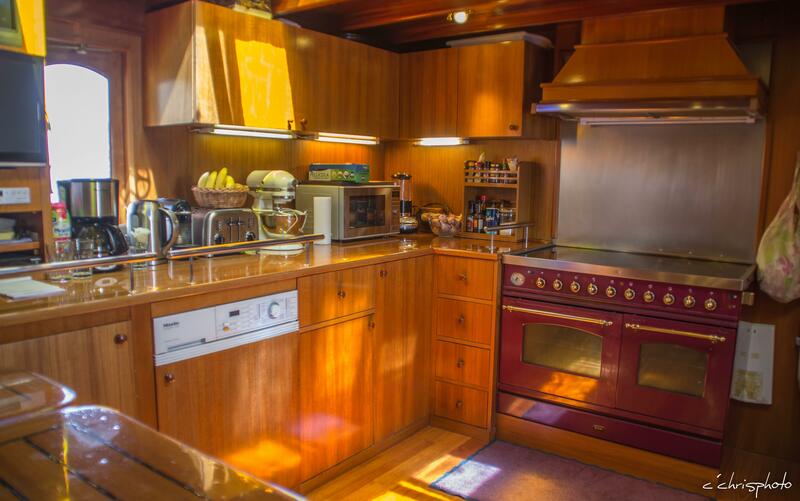 Exterior living aboard the yacht OVER THE RAINBOW is generous, wrap around decks are wide and provide 360° access, all shaded by the top deck. 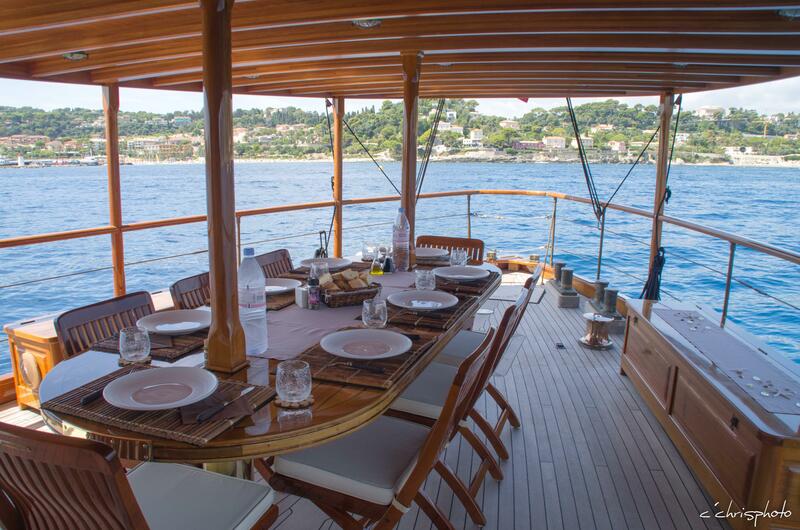 The aft deck offers a deluxe alfresco dining option, while the foredeck offers relaxing seating. 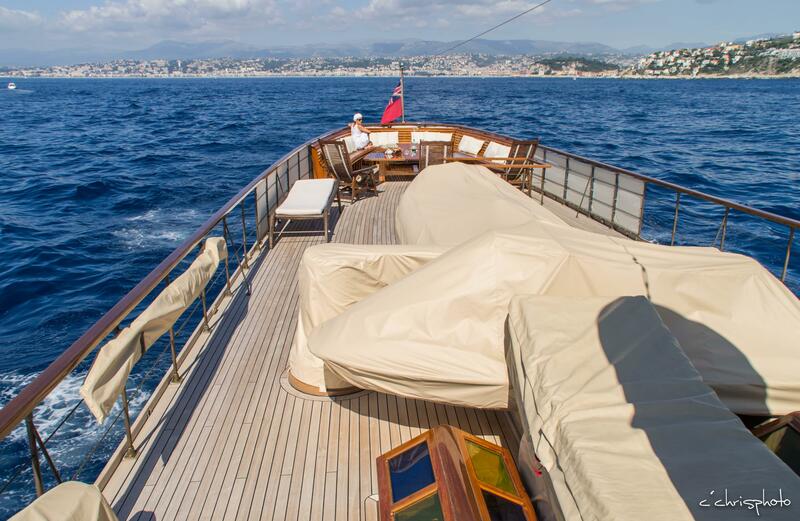 Above the main deck the sundeck is almost full length of the yacht, aft a further alfresco dining option is available with the choice of shade, chaise lounges and seating, seeing that everyone is comfortable. 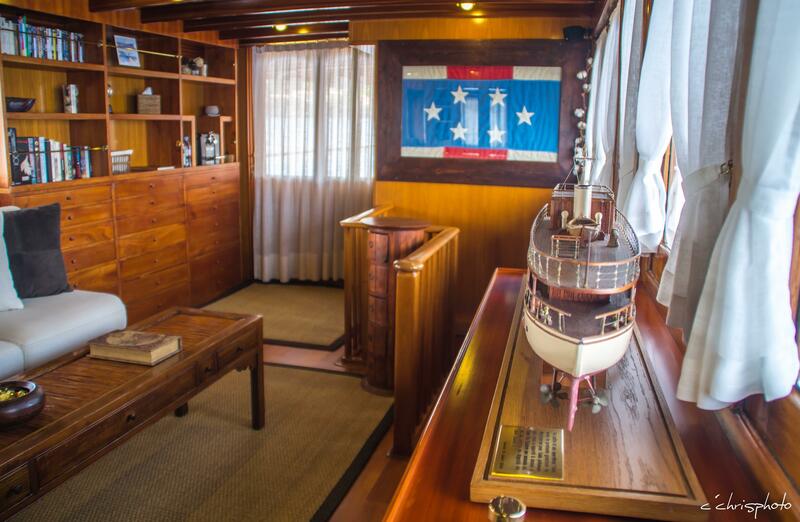 Guests may want to visit the pilot house forward of on the sundeck for an authentic experience. 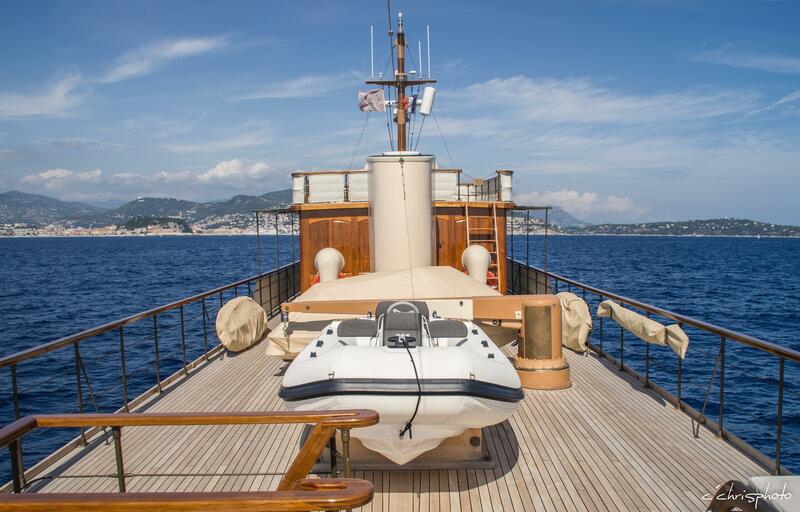 M/Y OVER THE RAINBOW has a beam of 6m (19.8ft) and a draft of 2.5 (8.2ft), the yacht is powered by 2 x 230CV Gardner engines and is cruises comfortably at 10 knots. 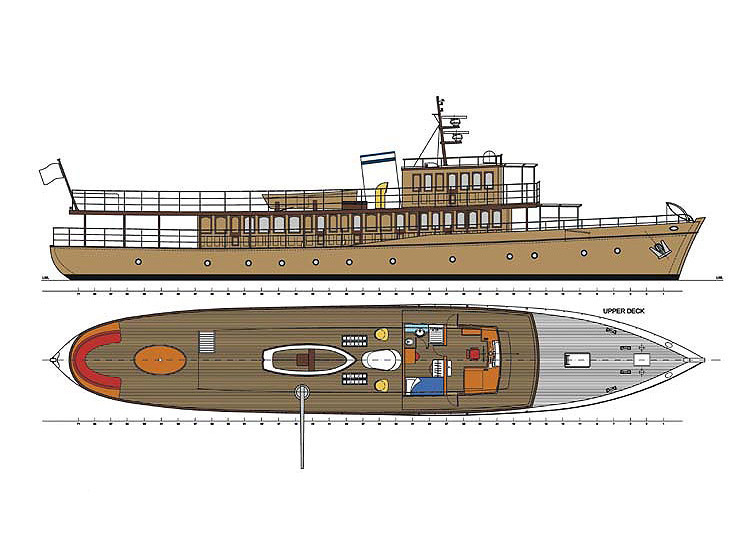 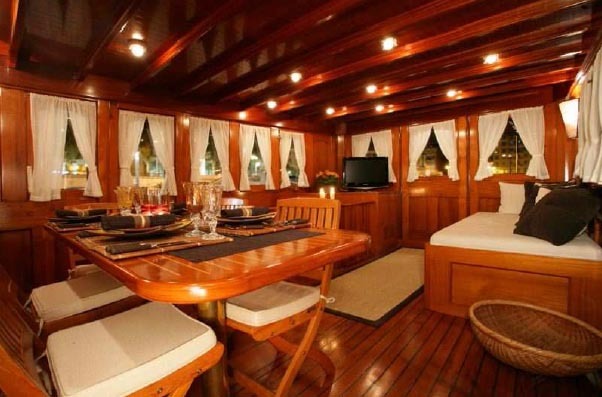 She can accommodate up to 10 guests in 4 cabins. 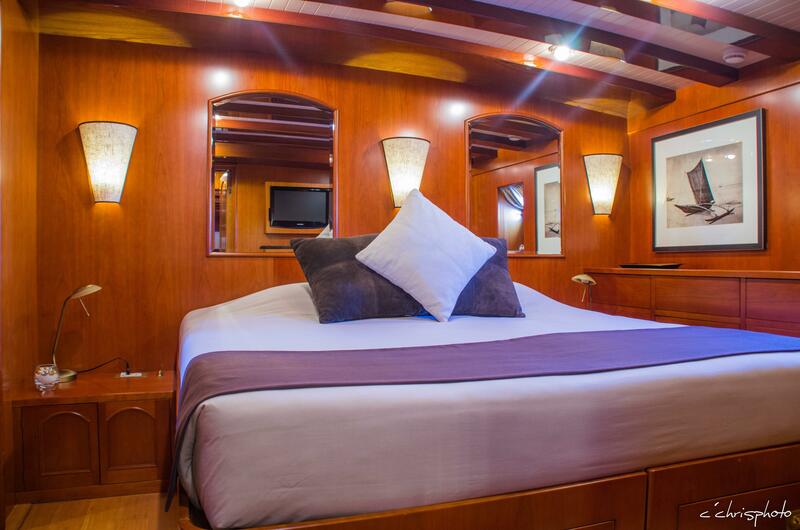 The master suite is full beam of the yacht aft with a center lined double bed, ample storage and full beam en-suite facilities. 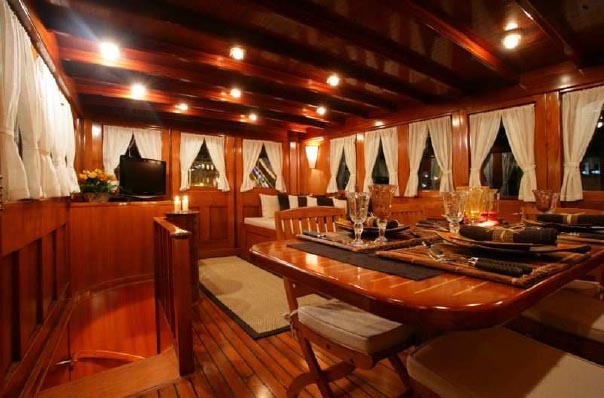 Forward accessed from the dining room is a double guest cabin. 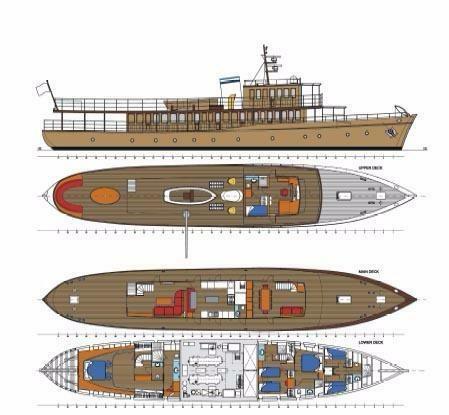 Thre are als 2 twin cabins, both twin cabins are convertible. 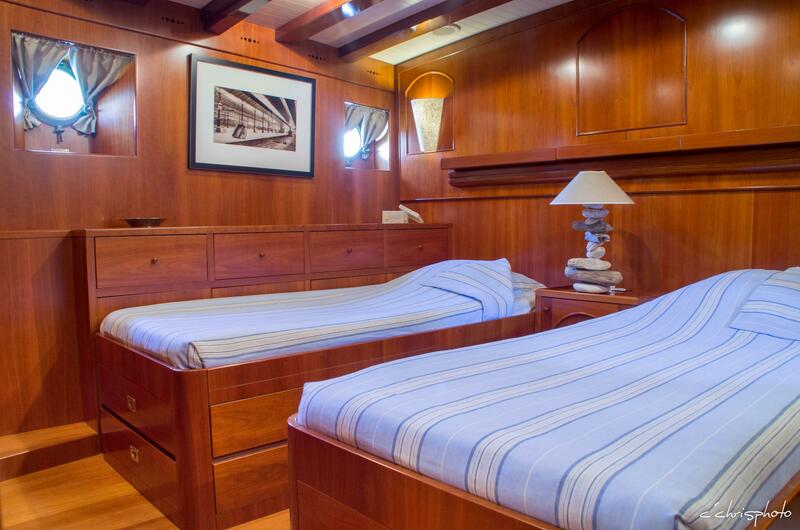 One is able to sleep up to 4 guests; ideal for children or young teenagers. 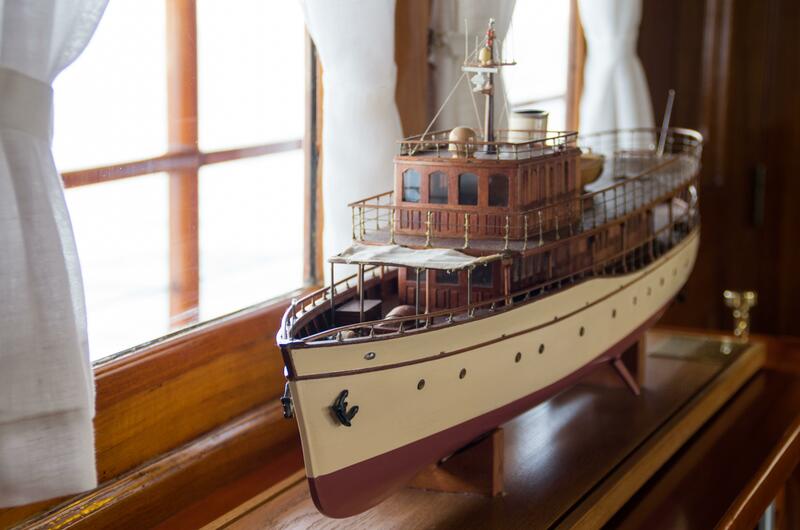 Each cabin offers en-suite facilities, beautifully finished wood panels and a charmingly elegant atmosphere. 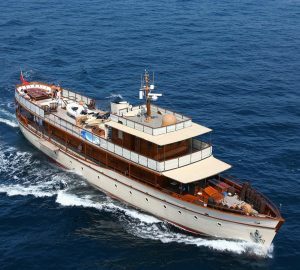 M/Y OVER THE RAINBOW is offering an all-inclusive weekly rate this winter of €66,000, in addition, for €225,000 enjoy the yacht and a private island.